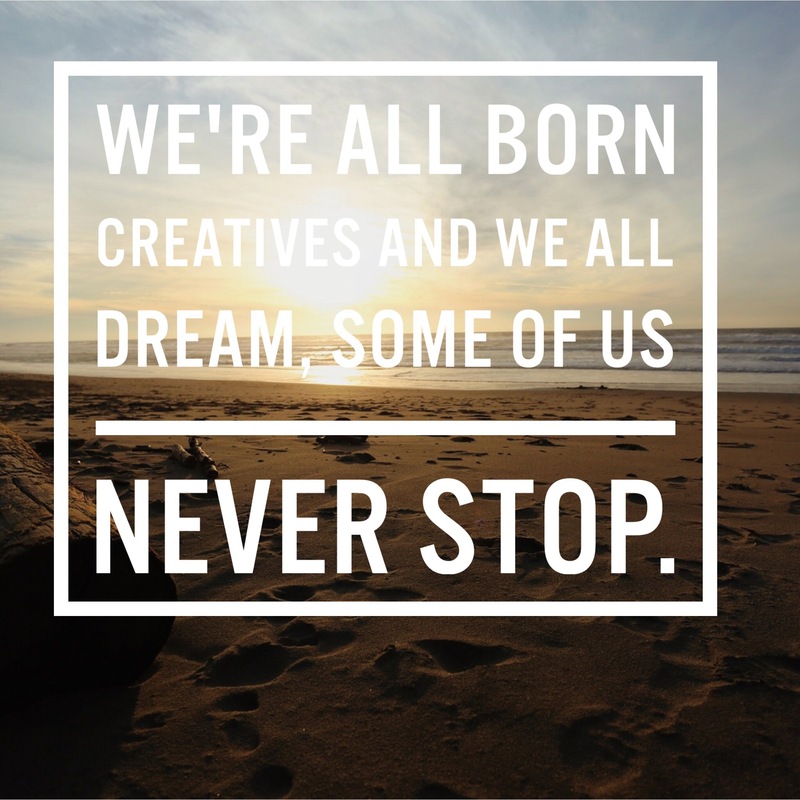 Everyone is a creative and everyone dreams. But most people get to a point in their lives where they’re told, either by society, family or themselves, that they have to give up their creative aspirations and get a real job. Those of us who’ve had this happen, and it should be everyone, have been lied to. We’ve been told that what we want out of life isn’t as important as what society wants from us. This lie permeates culture, rots dreams and destroys confidence. This destruction causes all of us to second guess who we believe ourselves to be and reminds us that society has its own motives. We must work for the machine. We must strive to make our country better, regardless of th damage it causes to ourselves and who we are. Never give in to this machine. Be who you are. Create a life for yourself, create and dream. We need less cogs in the machine and more framers of creativity. I love this post so much. It comes at exactly the perfect timing. I have just quit my job without another “real job” lined up. I am done being deluded by society’s ploy to lure us into slavery. I have been lied to by my parents since I was a teenager. After decades of working at jobs that don’t speak to and fulfill my soul’s desires, I have been burnt out multiple times and feeling unfulfilled. Now I am taking a leap in the dark and a kind of faith for my own dreams. Thanks for this extra nudge, this reminder, that we alone and our dreams are enough, because there is nothing more real that this.